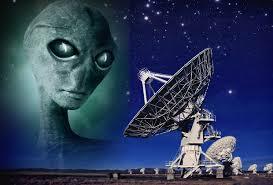 Scientists listening for broadcasts from extra-terrestrials and UFOs are struggling to get the computer hardware they need thanks to the cryptocurrency mining craze, a radio-astronomer has said. Researchers at Seti (Search for Extraterrestrial Intelligence) want to expand operations at two observatories, but they’re facing an unanticipated problem: Key computer chips are in short supply, specifically GPUs, or graphics processing units. “That’s limiting our search for extra-terrestrials, to try to answer the question, ‘Are we alone? Is there anybody out there? '” Dr. Dan Werthimer, chief scientist at the Berkeley Seti Research Center, told the BBC. Demand for GPUs has soared recently due to increasing numbers of cryptocurrency miners. Mining a cryptocurrency such as Bitcoin or Ethereum involves connecting computers to a global network and using them to solve complex mathematical algorithms. This forms part of the process of validating transactions made by people who use the virtual currencies. As a reward for this work, the miners receive a small crypto-currency payment, making it potentially profitable. Earlier this year, there were reports that video gamers had been hit by a sudden rise in the cost of GPUs, thanks in particular to a rise in Ethereum mining, which can be done with chips aimed at consumers. At the time, major chip-maker Nvidia said that retailers should make arrangements to make sure gamers’ demands were met. In a conference call last week, Nvidia’s chief executive told investors the company was “working really hard” to “catch up with supply” and get GPUs to the marketplace. He added that at some telescopes, Berkeley Seti has around 100 GPUs crunching data from large listening arrays. These arrays can pick up the faintest of radio frequencies that have been flung across our solar system from elsewhere in the universe — often from natural phenomena like collapsing stars. The Seti scientists are currently trying to improve their capacity for analyzing such data at two observatories: Green Bank in West Virginia and Parkes in Australia.